I hope you had some rest and relaxation. My family and I did some skiing in Vermont, lots of eating (put on 7 pounds in 2 weeks, yikes!) and visiting with friends, and reading. So here's the first lesson of the New Year and we will begin with a unit on how to play by ear. Many people feel that this is beyond them or way too mysterious so we're gonna break it down. We're starting with simple folk songs. There are lots of classes coming up this winter. I hope to meet you at one of them! If you have taken the piano class, check out the Shower Singing class so you can accompany yourself singing! Really fun. Talk soon. 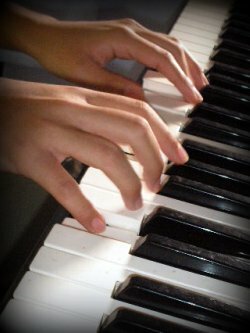 And if you'd like to try out a piano lesson by Skype, let me know. They work really well and are SOO convenient! Be well. Take care of yourself and most of all, keep music alive in your heart.